Moms and Dads need more stuff to remember to do around the holidays, right? Kids need more reason to be paranoid. 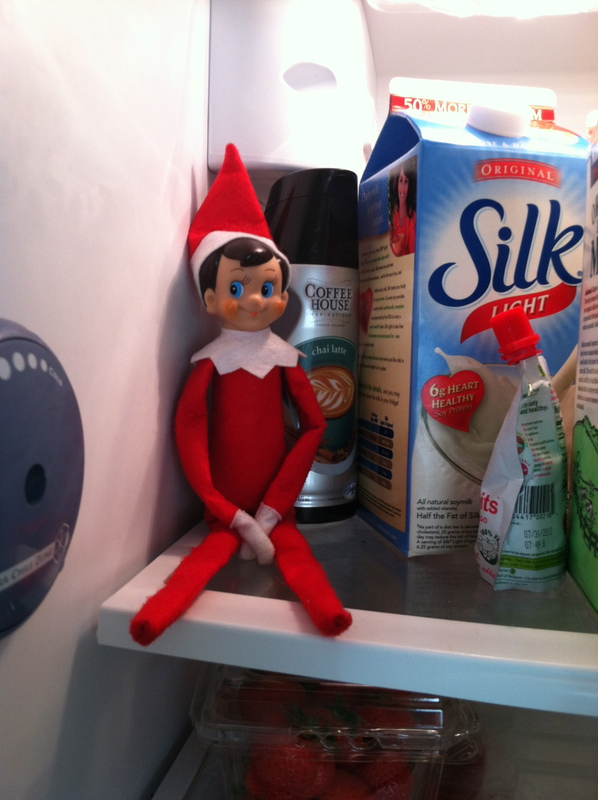 That’s not a great attitude about this adorable little guy…the Elf on the Shelf who magically flies to see Santa each night reporting on our child’s behavior-and probably mine too. Am I just mad that I didn’t invent this? or….am I just frustrated that I have something else to do each day at the busiest time of the year? I am trying to adjust my attitude and think of it as the cute little tradition that it is and not take it so seriously or overanalyze it (as I tend to do with most things.) I also am running out of ideas with where to put him so thank goodness my husband has become interested in this game. Share your funny Elf on the Shelf locations and mishaps–let’s make the most of this “new” invention/tradition until my Elf has some unfortunate accident and we bury him in the backyard. Just kidding. I would never hurt my little Elf. Happy Holidays!!! I am finally Blogging!!!! Hallelujah!